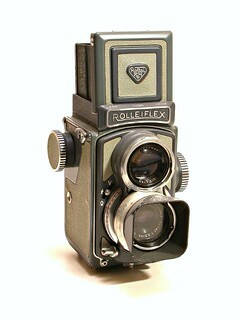 The Automatic Rolleiflex 4x4, popularly known as the "Gray Baby" Rolleiflex, was introduced in 1957, at an announced list price of USD $133.65. 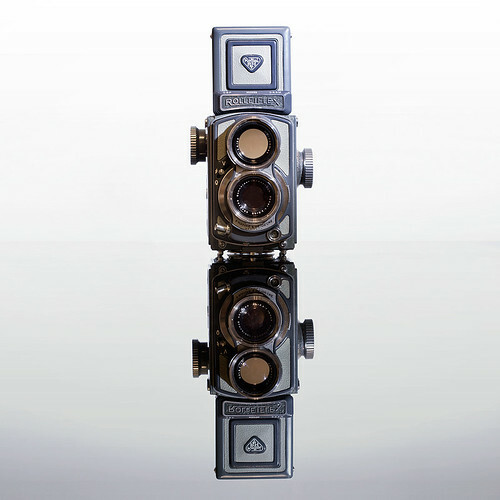 It is a knob-advance twin-lens reflex yielding 12 exposures of 4x4cm on 127 film. It has a Schneider Xenar 60/3.5 taking lens and a Heidosmat 60/2.8 viewing lens. 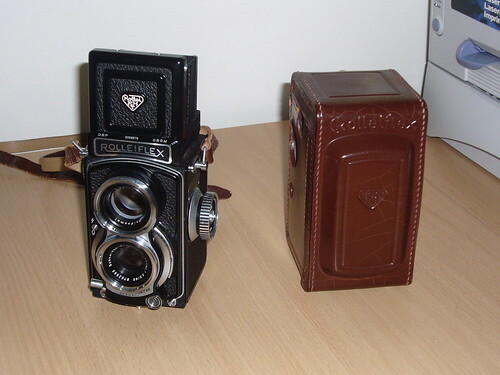 This model helped kick-start a brief boom for 38mm × 38mm "super slides" (whose slide mounts were the same external dimensions as 35mm slides, but offering a larger image area), and inspired several Japanese lookalikes such as the Yashica 44. By 1959 the gray baby's advertised list price had dropped to USD $99.50,  perhaps a reflection of waning interest in the format. In 1963 the "gray" was abandoned in favor of "black". ↑ Popular Photography (USA) Volume 41 No. 1, July 1957. "IPEX; The Products" [Report on the March, 1957 International Photo Exhibition, Washington D.C.] pg.105. ↑ Modern Photography (USA) Volume 23 No. 9, September 1959. "Quality Counts" (advertisement), pg. 19.